The Scorpions have added a pair of dates to their fall US tour. The two-week series – with guests Queensryche – will begin in Lake Tahoe, NV on August 31 and now includes performances at the Comerica Theatre in Phoenix, AZ on September 5 and The Pavilion at Toyota Music Factory in Dallas, TX on September 9, with tickets on sale now for all seven concerts (see list below). The 2018 appearances primarily consist of rescheduled concerts from last October that were cancelled after singer Klaus Meine was diagnosed with a case of severe laryngitis. 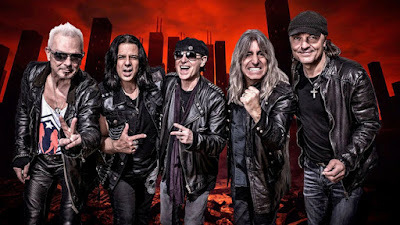 The Scorpions recently completed a series of shows in Mexico and will next begin an extensive European tour in Ostrava, Czech Republic on June 6.